Beatles Mania is Back! 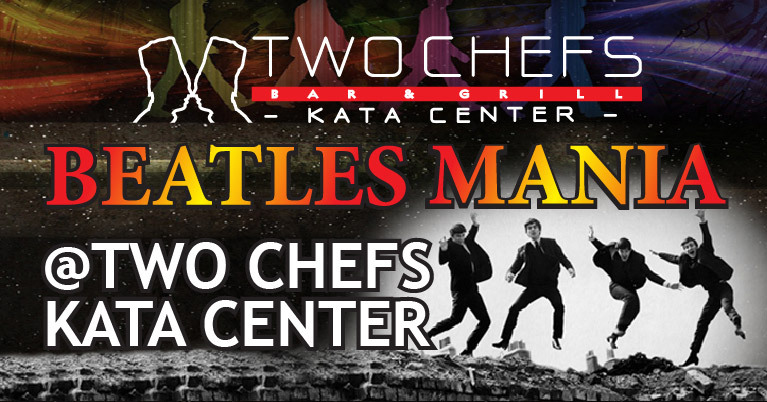 Don't miss out as our Two Chefs House Band play all the classic hits of The Beatles on April 7, 2019 at Two Chefs Kata Center! Sing to your heart's content and jam all night long! Hungry? Try out our All You Can Eat Traditional Sunday Roast for just THB445! Message us NOW to book your table! Live music starts from 8:30pm and goes late Reservations are highly recommended.